Mr. Yohn’s classes are generating ideas to make Stacey a better place. He explained to everyone that Stacey ASB has funds amounting to about $25,000 that can be spent on our school for the benefit of the students. Mr. Yohn said all the money came from students when paying for dances and other events. In his class, we are learning how the government works. 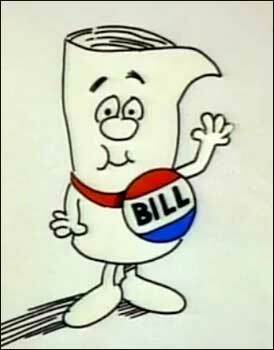 We learned about what a bill goes through to become a law. Basically, a bill must pass the House of Representatives and the Senate. It then goes to the President to approve. If he does, it becomes a law. If he vetoes it, it goes back to the House where it starts all over, maybe to never pass again. Stacey citizens are generating ideas to make Stacey a better place. It could be putting in better plants or even ordering new gym supplies. Some students are suggesting installing vending machines, adding a spirit day, and even having an 8th grade field trip to Knotts. After Mr. Yohn’s classes propose their ideas, they will be sent to Leadership ASB. Leadership students (The House of Representatives) will read through them to see if the proposition is even possible. After that, they will debate and vote on each idea. If it passes, the idea will be sent to our ASB President, Leandra Gimenez. She will be allowed to veto it if she feels the idea won’t help our school. If the “bill” passes through leadership we can expect great things to happen for our campus.